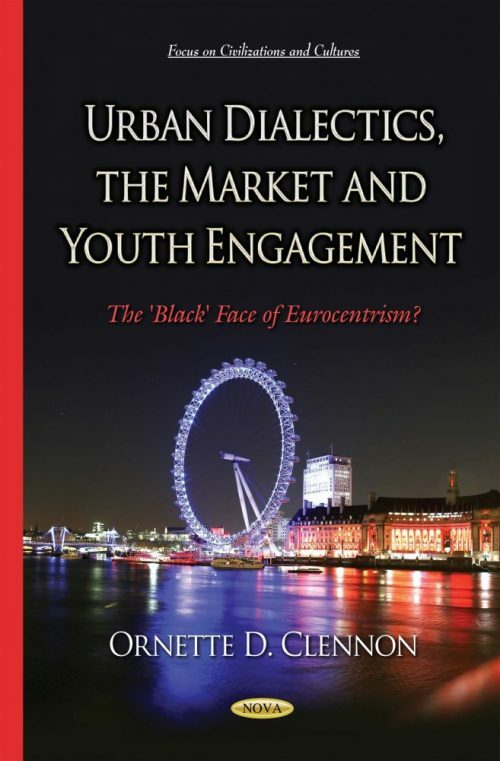 Home / Shop / Books / Social Sciences / Social and Behavioral Sciences / Sociology / Urban Dialectics, the Market and Youth Engagement: The ‘Black’ Face of Eurocentrism? How is it that today’s young people are perhaps the most “cultured” they have ever been with virtually unlimited online access to new innovative underground subcultures whilst the gap between privileged and less privileged youth remains as wide as ever? This is a pressing question as young people from the most deprived backgrounds seem to inspire but not actually gain from the most commercially successful cultural innovations. It would seem that culture in its various facets, plays a complex part in defining and maintaining social inequalities. In this book, the author explores how youth culture and market ideologies combine to form oppressive hegemonies that maintain the gap between both the traditional and emerging new consumer classes. The author argues that it is the market power of youth culture that has influenced commercial culture as a whole with its control(s) and representations in ways that affects all of society. Questions around its control(s), ownership and distribution are crucial for the understanding of its role in the maintenance of social and structural inequalities. Drawing on Lacan, Benjamin, Freire, Collins, hooks and others, the author underpins his observations of his community enterprise research with young people with a theoretical framework that explores the interiorisation process of cultural oppression and liberation. The author also examines how the Freirean process of “consciousness-raising” can be applied to examine youth culture in ways that empower its consumers, as well as tracking the genesis of some of its more negative market origins. This book was written for academics interested in interdisciplinary research (cultural studies, international relations, community psychology, geography, economic, critical race studies and sociology). The book will also appeal to youth workers and community workers working with young people in arts based projects.